Hello everyone! Has the chill of mid-late fall got you down? Do you find the longer nights gloomy? Longing for some warmth, a sense of community, and a historic atmosphere? 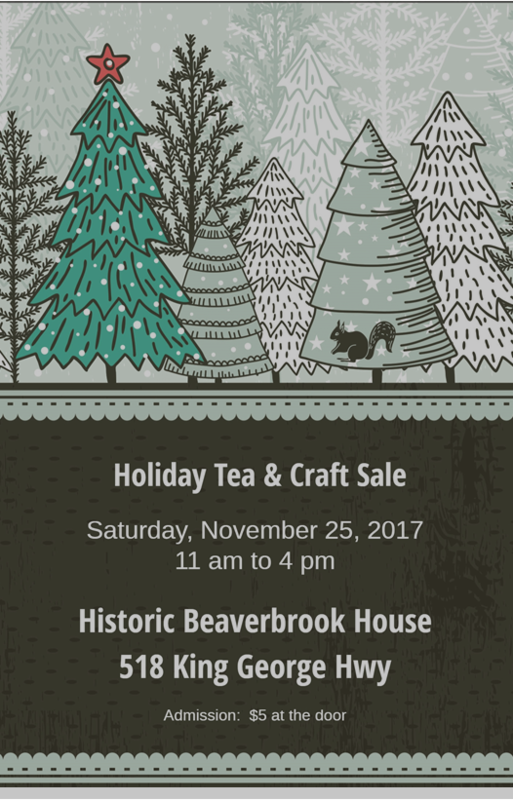 Well, come and join us at the Historic Beaverbrook House for tea and a craft sale on November 25 from 11 am to 4 pm! Hope to see you there!